Not content with implementing the most sweeping healthcare sector changes since Ukraine first gained independence 27 years ago, the country’s Ministry of Health has recently begun a debunking campaign targeting the many healthcare falsehoods and medical myths that remain all too commonplace in modern Ukrainian society. The campaign targets widely held but groundless beliefs that date back to Soviet times or older folklore traditions. The objective is to improve public education on health issues while reducing the influence of outdated and unscientific beliefs. For non-Ukrainians, these myths often provoke a chuckle and are easy to dismiss as mere superstitions. However, many Ukrainians have grown up taking such beliefs for granted despite the fact that they often have no basis in evidence-based medicine. Anyone who has spent time in Ukraine will be familiar with many of the folksy myths that Dr. Suprun and the Ministry of Health are seeking to address. These include such classics as “You must wear surgical shoe covers in hospitals to avoid spreading infections”, “Drafts of cold air can make you sick”, “Sitting on cold surfaces can cause bladder infections”, and “Snapping your fingers can cause arthritis”. The ministry is using its official Facebook and Twitter accounts to spearhead its myth busting efforts, with regular posts designed to challenge long-held assumptions. One example is the myth about the necessity to wear shoe covers inside a hospital or clinic. For non-Ukrainians, this requirement has long elicited eye rolls and knowing sighs, as this is simply not required in even the best Western hospitals and clinics. 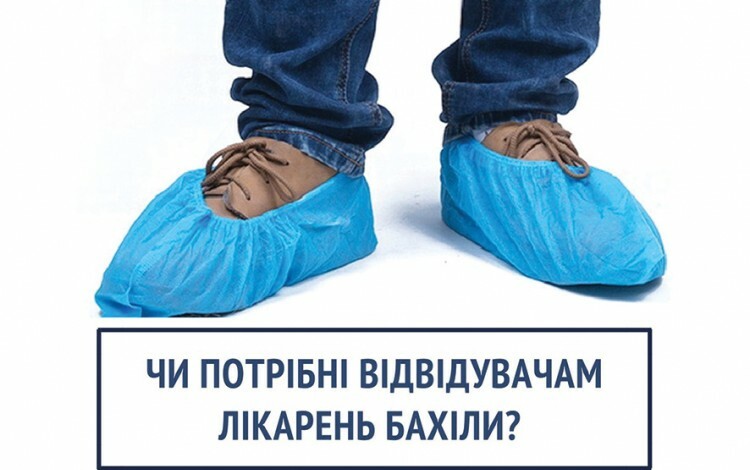 There is no medical reason to wear these shoe covers in hospitals except for in surgical rooms where an infection risk might theoretically exist – but that is the only area of a medical facility in which wearing plastic shoe covers makes any medical sense. 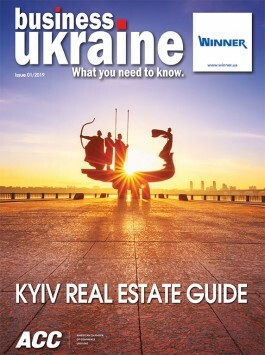 Another common myth in Ukraine is the notion that sitting near an air draft can cause illness. This often deeply held belief is particularly evident in the summer months when open windows on public transportation become a source of great tension and anxiety. Attempts to open windows on trains and buses can often provoke an uproar of complaints and even accusations of attempted murder, particularly from older passengers. In reality, fresh air is healthy and moderate ventilation is good for everyone. People become ill because of infections in the air but not from stray drafts of air on a hot summer’s day. Similar misgivings are often evident with regard to air conditioning. While people can become ill due to unclear filters, they will not get sick from air conditioning itself. Lengthy exposure to extremely cold streams of air is an entirely different matter, but nobody will contract a fatal illness from an open window on a crowded summertime bus. Other myths addressed by Dr. Suprun and the Ministry of Health include the idea that snapping fingers causes arthritis (medical studies show that it has no effect), that magnet bracelets can somehow improve blood flow (they do not because iron in blood in non-ferromagnetic), and that sitting on cold surfaces can lead to bladder infections. While most of the myth busting takes the form of practical advice to overcome superstitions, occasionally posts address controversial issues such as homeopathy. Dr. Suprun recently posted “top five facts about homeopathy”, with all five facts being a repeat of the mantra “Homeopathy Does Not Work.” This is a major issue in the field of Ukrainian healthcare. An August 2017 survey by the sociological firm Rating Group showed that 30% of Ukrainians trust homeopathy. Although this makes it a minority viewpoint, it still represents a very significant portion of the public. Homeopathy even enjoys the support of some Ukrainian MPs and is believed to be a billion-dollar industry in today’s Ukraine. However, as Dr. Suprun notes, there is no scientific evidence to support the industry’s claims. She points out that at best, homeopathy has a placebo effect on patients. In a country that has historically struggled to modernize its medical system, many reformers see myth busting is an important public service. In a post-totalitarian society where instinctive suspicion and lingering superstition still often trump faith in facts, a straight-talking and practical campaign to dispel disinformation is now finding a receptive audience among the Ukrainian public. Ukraine clearly needs a healthy dose of reliable medical advice, and the Ministry of Health is seeking to provide just that.